Sunday arrived and I finished of restoring the battery tray that looked pretty bad. Obviously trying to keep as much original as I can so I decided to strip it down and see what was there earlier in the week. I am pleased to say it was in good condition apart from a little rust that had pitted the very edges. So I rubbed it down, treated it, primed it and two coats of satin black. I think it came out well. There are a few dimples on the tray still, but I think it adds a little character. I also decided to catch the Spanish F1 Grand Prix, I promptly fell asleep it was that interesting! What has happened to Formula 1? So all in all a good Sunday was had by me. 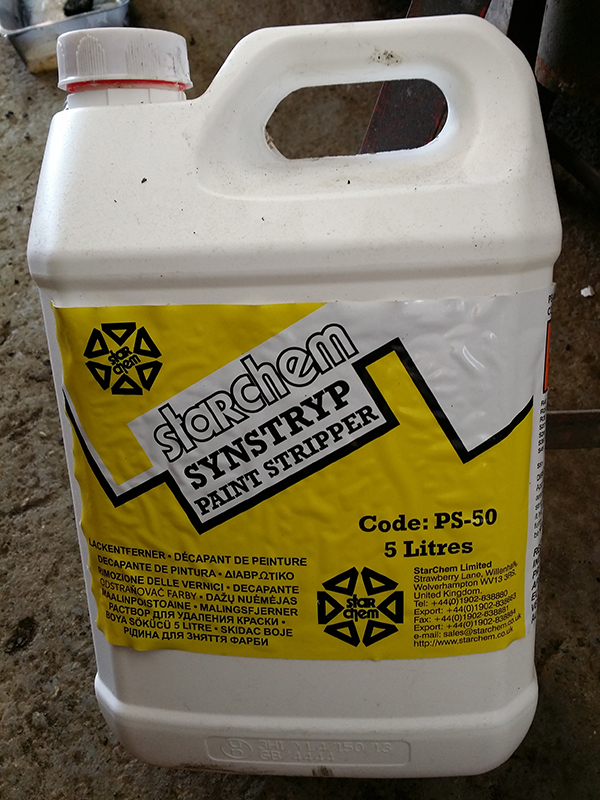 I have been asked what I used to strip the paint and under seal off the car. It’s called Starchem Synstryp, I have done a review of it as well and it’s in the quick links below. I have added the full set of pictures for the battery tray here, or click on the Photos – Engine Bay – Battery Tray. This entry was posted in Photo's, Reviews and tagged battery tray, grind, gt350, lost traction, Mustang, por15, primer, rust, satin black, Starchem Synstryp, welding. Bookmark the permalink. I would agree with the title, I like that. As for the GT350, I still get the hair o my neck stand up at the thought.